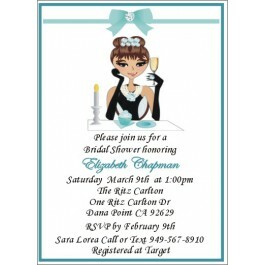 Send out the most prestigious and exclusive to Serendipity a invitation in a popular theme. 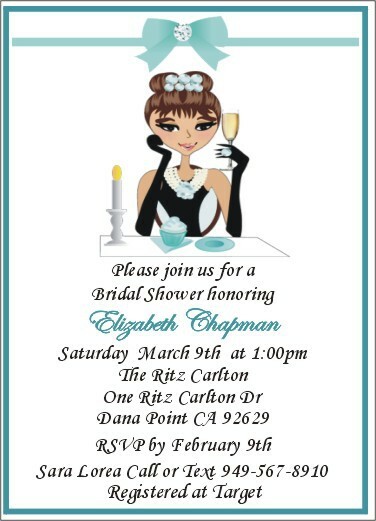 It's a Breakfast At Tiffany bridal shower, engagement party or just a girl's night out party, with our adorable custom made Breakfast At Tiffany Printed Invitations. Size 5" X 7" White envelope included. Note: We reserve the right to adjust font size to accommodate all test.